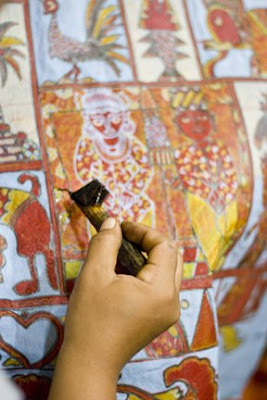 A natural light-colored cloth is used to make batiks (synthetics or blends won't work). 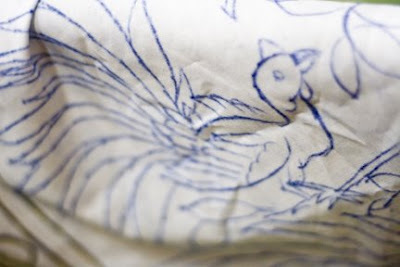 A rough sketch is made on the cloth as in the first photo. Then you paint wax on top of the areas you do not want to dye. This woman uses a tool sort of like a crude fountain(?) 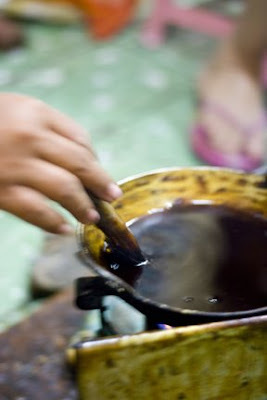 pen to take the dye to the areas she's drawn. 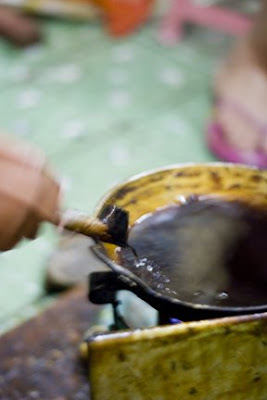 When the paint has absorbed into the cloth it is allowed to dry, then a hot water bath is used to melt off the wax. Here's the finished product. 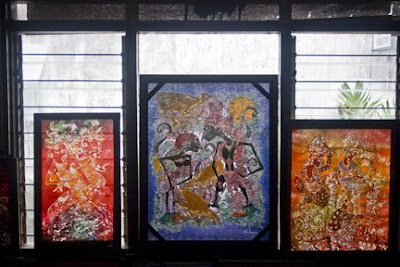 It's a very thin cloth so it's beautiful framed with light shining from behind, such as daylight or if indoors then a frame with an embedded lamp. 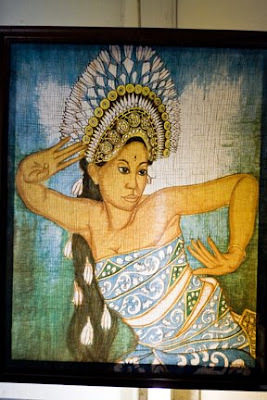 I love bright designs, but this region (Jogyakarta)'s color palette consists of the varying shades and tones of brown.